Download a collection of high-quality vector facial expression cliparts for free! Free download these facial expression cliparts and use them in your infographics. Facial expressions are a form of nonverbal communication, and they convey the emotional state of an individual to observers. With the rapid development of science and social media in recent years, facial expression cliparts have been widely used in graphic design, infographics, and advertising. Besides, people like to use facial expression stickers in chatting APPs to add more fun to the chat. Edraw clipart software provides Edraw clipart software provides users with various vector facial expression cliparts to express subtle feelings, including happy, suprised, indifferent, angry, disatisfied and disgusting etc. Click on the picture below to download and customize these interesting facial expression cliparts for free. Get your hands on great customizable facial expression cliparts from Edraw. Decorate for any occasion and make your own with your text or photo! 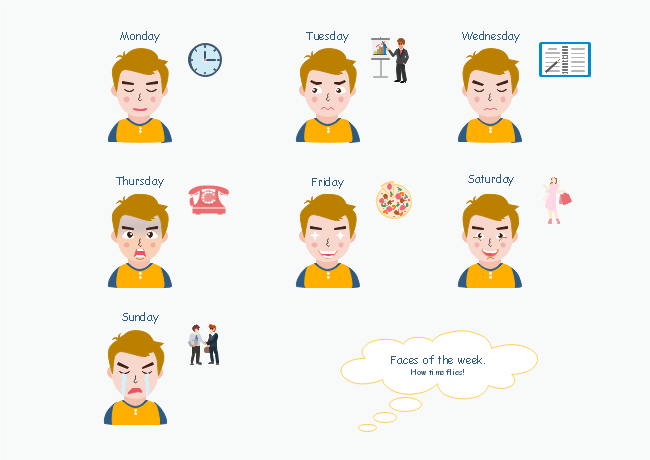 Drag and drop a premade facial expression clipart and customize it to build expression infographics for any situation. 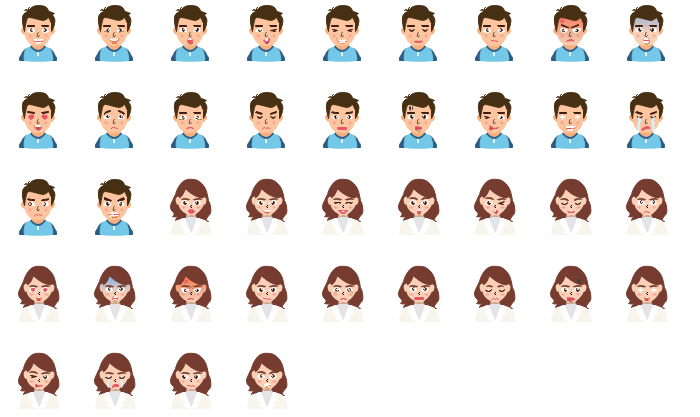 If the built-in facial expression can not satisfy your demand, you can draw personalized facial expression symbols and save them in a customized library. Download and begin editing and formatting the diagram as your ideas flow. 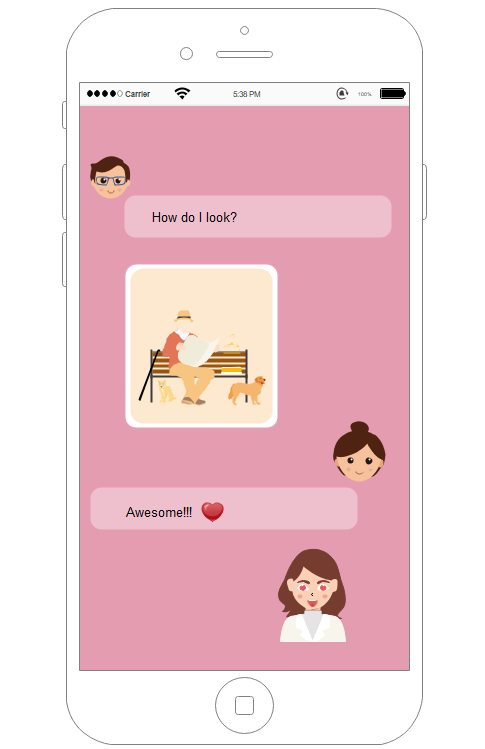 Here is an iPhone UI of chatting with facial expression sticker wireframe. View more exquisite facial expression cliparts and use them in your design. You can even customize facial expression symbols with the easy-to-use drawing tools in Edraw. Creating personalized emoji stickers would be fun! Attracted by the interesting Faces of the Week infographic? With the help of Edraw clipart software, you can create such funny and cute infographic with no drawing skills required. Free download the software and try the abundant symbols and templates to see how quick this could be. Make full use of the color, line, foliage and facial expression cliparts to create stylish emoji stickers. 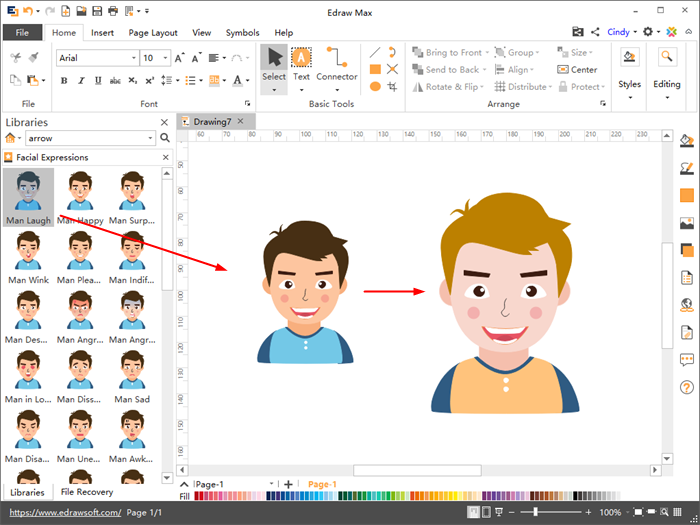 Edraw built-in facial expression cliparts give you inspirations and an easy start.